FILM act Kabuki -- Eisenstein: Indeed, another feature of the Kabuki style of performance which appealed to Eisenstein concerned what he described as the principle of "disintegrated" acting; a style which relies upon 'fragments' of acting functioning in complete dissociation from one another. The Kabuki actor would, for example, in one moment act with only his left arm and then, at another moment act with only his neck and head. The body would thus effectively break-up into 'shots' and, in accordance with the principles of dialectical montage, as these'shots' or pieces of acting became shorter so the dramatic power of the tragic end would accelerate and intensify. BioMX Forum I reconsidered my views on the level two of Acting Classes I teach. THR221 Intermediate Acting I plan to stress the Biomechanics, which are to be introduced in THR121 Fundamentals of Acting, along with the Method. In Advanced Acting the focus is on the system by Stanislavsky System. It will take time to sort out the old pages in Acting Directory @ Theatre w/Anatoly and I plan to keep it for the Method Acting (both the Fundamentals and the Advanced). Maybe I will focus the Advanced Method at Method Acting for Directors. Meyerhold: Click to View or Add Text. No, it's not a coinsidence that BM was born during the era of Formalism; the attention to forms, the true expression of ideas. The same with Picasso or Malevich -- forms are the ideas! Especially, in theatre, sir. The object of study in literary science is not literature but "literariness," that is, what makes a given work a literary work. Meanwhile, the situation has been that historians of literature act like nothing so much as policemen, who, out to arrest a certain culprit, take into custody (just in case) everything and everyone they find at the scene as well as any passers-by for good measure. The historians of literature have helped themselves to everything� environment, psychology, politics, philosophy. Instead of a science of literature, they have worked up a concoction of homemade disciplines. They seem to have forgotten that those subjects pertain to their own fields of study�to the history of philosophy, the history of culture, psychology, and so on, and that those fields of study certainly may utilize literary monuments as documents of a defective and second-class variety among other materials. "Theatre should not mirror reality but should transcend the common place of everyday life by deliberately exaggerating and distorting reality through stylized theatrical techniques." [Roose-Evans, 1989] FABULA (or "story"). A term belonging to the study of prose, fabula designates the raw material which will be processed to become a narrative. The story is the purely chronological series of events, which will be recounted, in the order in which they took place, which is not necessarily the order of the narration. The fabula will be organised into siuzhet to become a narrative. SIUZHET (or "plot"). The siuzhet is the narrative counterpart of the fabula or story before it is being told and like fabula refers to prose. The siuzhet is purely literary. It is an artistic construct, whereas fabula is the chronological string of events. Siuzhet organises fabula using delays, digressions, chronological disruptions, etc. In fact defamiliarisation is the key concept: the siuzhet is the defamiliarising narrative version of the fabula. MATERIAL/DEVICE VS. CONTENT/FORM. Russian Formalism reacts against the deeply-rooted notion that content is superior to form which is merely seen as a recipient. In the first phase of Russian Formalism form is synonymous to literariness and thus is granted an essential status in the definition of literature: actually it is what made literature literature. However, the later view of Russian Formalism takes into account the automatisation of the perception of literary devices and thus the opposition material/device tends to collapse. An automatised or habitual device has more to do with material than with form. "The dynamic principle implied in the material/device distinction means that elements of form itself can be included in the concept of material." (Ann Jefferson, "Russian Formalism", 36). DEFAMILIARISATION (or "making strange"). Shklovsky thinks that art defamiliarises things that have become habitual or automatic (through the process of automatisation). In a way art is a perspective on things, a way to see things. Form becomes a focus of Formalist attention deriving directly from their preoccupation with the specificity of literariness. The object in itself is not important. The object is merely a pretext for art. Craig suggested that instead of trying to imitate the world, theatre could be used to interpret and reveal it, removing all inessentials and pretensions, and displaying the epitome of a moment. To realise his plans he had to deconstruct the theatre and understand it's component parts. To realise his ideal Craig intended to either completely remove the human from the stage, or dress them in costume that renders them incapable of adding anything of themselves to the overall vision or objective of the piece. Craig developed the famous idea of the 'U�bermarionettes' the robots or mannequins that could carry out the director's instruction without interpretation, and in a precisely repeatable fashion. To frame the performance space Craig designed a set of screens which could move and change into any shape seamlessly and fluidly, in front of the audiences' eyes. The objective was to create a complete expression, like a fine artist, from beginning to end, the director is in control of every aspect of performance. He can compose directly to the stage. Therefore making the concept of the piece a direct communication between the addressee and the addresser. Anything or anyone that detracted from the piece was essentially removed from the creation or performace process. What is typical for artistic perception is our material disinterestedness in it. Exhilaration at the speech of one�s defence counsel in the law court is not an artistic sensation, and, if we sense the nobility and humanity of the thoughts of the most humane poets in the world, then these sensations have nothing in common with art. Only the creation of new forms of art can restore to man sensation of the world, can resurrect things and kill pessimism. Take formalism (later structuralism) literaly: forms = meanings! So, I use film technique for acting classes. No, not so-called "acting for the camera" -- but the camera breakdown of action. Call it "framing" -- selection of specific parts and movements, as if for a sinle shot. Maybe better to redirect you for Film Directing 101. In short, you take motions apart and re-CONSTRUCT (choreographing for the dymanic space and subjective time)! I didn't talk to you about "dynamic space" and "subjective time"? What I did I tell you? 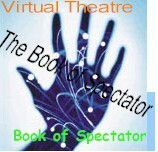 Read the film pages -- and The Book of Spectator. NTL, I have to say a few words about Russian Formalism of the 20s; the stress on forms and insistence that meaning is changing with the changes of forms. In short, as I said: form = message (Hello, Mr. Aristotle, and Structure = Texture). It's important in Method even more, because very often we can't see the inner process, because it is not SHAPED, not EXPRESSED. Formal Principle became important in critical theory, but somehow didn't sink into the theatre practice. BM starts with forms, assuming that they are the expression of IDEAs! Without repeating the basic 4-Steps cycle, see ACT Page. Meyerhold believed that every movement on stage must be choreographed, because every change on stage is MEESSAGE. We do need to bring theory into acting business as long as actors can compose the stage sentences. If they don't, they should glance through the pages of "BioMX Theory fo Actors" -- it might help. Everything in acting is about movement: emotional changes -- and therefore changes physical. They can be small or big, but they are always there. Actor's choices MUST be made. Or they will be made for you, if you work with good director or good actors. No choices means bad performance. Without MOVEMENT you have no "texts"! I call Actor's Text. You "write" those texts in time and space. Out of the "empty space" and time, you create YOUR chronotope where your character becomes your ROLE. You need to learn how to "read" acting texts (performance), if you you want to compose them. The study of "signs" is called semiotics. In method acting it is known as subtext, the actual meaning behind the lines. Biomechanics were developed in reaction to Stanislavsky's System and everything that the method of psychological realism has to offer is EXTENDED to the next level in BioMX. the choices are big and definite! That is why BioMX is so suitable for comedy. PRE-ACTING Meyerhold used to emphasize the action before any spoken line. How important it is you can see in bad acting: the gesture follows the text -- that is an illustration. Good acting is to set a situation for your line; we anticipate the words, we wait, we want to hear... and only then actor delivers! Formalism was born after the Einstein's revolution in physics: form and meaning are not separate. The form is the meaning. There is no meaning outside of formal principles. Also, read Symbolism in Script Analysis Directory. From constructivism to deconstruction. Also, Semiotics files! MASTER. Anatoly! Write more about the structuralism! This is important, my man. - Yes, sir, I will! Russian Pages: Click to View or Add Links. 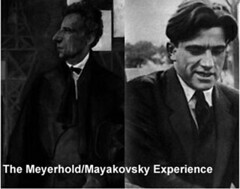 Meyerhold: Click to View Links. --What is an anti-illusionistic form? "Anti-illusionistic form would be circus, would be Vaudeville, would be Kabuki, would be dance. Anything that stops us from believing that what is happening on the stage is real. What was real were the issues that were being dealt with, they were being dealt with artistically, poetically, not by trying to recreate life as you might see it through a window. Stanislavski used a lot of physical theatre that has tended to come out of the training that he offered. Meyerhold took that. Stanislavski had used fencing, dance and gymnastics. Meyerhold used circus skills; he used eastern style dance forms, he used techniques taken from the circus and techniques taken from commedia to make the body of the actor very expressive. So you explore angularity, you explore capacity to carry weight and move from one person to another without touching the ground. He developed a system called biomechanics that was based on the American interest in time and motion studies and tried to apply that as an experiment to his own training of actors. One of the things that makes Meyerhold an interesting person is that he runs a school, he runs an experimental theatre, studio space and he also runs a theatre and it��s a cross-over between those three that allows him to constantly experiment with forms. He looks for conflict and contrast all the time between one scene and another, one character, one unit of action and another and tries to express that physically, visually and musically. His theory of acting, as I understand it, is that it is a field open to experiment. He is like a poet who understands the scientific method and therefore sets himself an experiment to conduct. He takes from the visual arts and recreates visually on the stage through his sets, and then looks at the impact of that sort of thinking on the body of the actor, the quality of the music, the relationship between the actor and the audience." interview with Bill Blaikie Formalism attempted to find the object of a science of literature. Saussure �Cregarded by many as the father of structuralism- also posed this problem in semiotics. To this purpose he put forward a methodological distinction between langue (the system of rules governing the relation of speech utterances), parole (speech utterances themselves) and langage (language as speech- understood to be constituted by the former two and to include all aspects of verbal activity). He proceeded to erect langue as the proper object of linguistics, and discarded the possibility for linguistics to start with an analysis of either langage or parole on the grounds that the former had no inner unity and was not autonomous, whilst the latter was inessential, accessory and more or less random. Saussure also ascribes to utterance (parole) as what is changing in language, and in this sense he excludes the possibility of taking utterances as the object of synchronic linguistic, for the latter must be concerned with 'the logical and psychological relations that bind together coexistent terms and form a system, such as these relations are perceived by one and the same collective mind'. Saussure discards the diachronic level of analysis because he is seeking utmost scientificity and can see no way for the structure of langue to be explained and given rules with reference to determinations which lie outside of it. The philological source and historical genesis of parole are insignificant to all conventions that regulate the relation of the signifier to the signified and which make meaning possible. The problematic question of whether the level of linguistic analysis has to be diachronic (an analysis of historical change and development of language) or synchronic (an analysis of language as a static system of rules, as it exists at any point in time) is critically taken up by formalist thinkers such as Bakhtin and Volosinov. Volosinov and Bakhtin are the main exponents of Russian formalism, who tried to solve the problem of diachronic analysis in linguistics. Volosinov vehemently accuses Saussure of being unable to account for 'change' and the polysemanticity of the word. He charges him with abstract objectivism. Saussure believed that language stands to society as the utterance stands to the individual, hence turning the latter into a mere accident and random element of the system under analysis. Volosinov's criticism focuses on the contextual development of abstract objectivism, that he regards as a conservative trend that follows a saturated period of creativity, and tries to counterpoise to Saussure's dismissive treatment of the speech act his thesis according to which the utterance is actually a social phenomenon and ought to constitute the main object of linguistic analysis. Contrary to Saussure, precisely by virtue of the fact that utterances partake both to the 'unitary language'- Saussure's systematisable langue - and social and historical diversity of verbal activities, 'it is possible to give a concrete and detailed analysis of any utterance, once having exposed it as a contradiction-ridden, tension-filled unity of two embattled tendencies in the life of language'. Bakhtin accuses systematic linguistics of suppressing heterodossia, and describes the dynamics of living language as those of a centripetal force represented by the drive towards unitary language and that of heteroglossia, always an opposing power, representing a centrifugal force and the dialogic power of language�Cin fact, in studying folklore, Bakhtin searches for the expression of heteroglossia in the novel. Volosinov introduces the idea of the relation between speaker and listener as constitutive of meaning. He asserts that the use and meaning of language are reciprocally determined by 'whose word it is and for whom it is meant'. More importantly, in trying to found a science of literature, formalism posits the question of what makes a text literary. The interesting answer, which was later to influence a whole range of literary and theatrical productions, was that it is its ability to defamiliarise experience. The concept of defamiliarization is crucial both for its inherently relational nature and also for its ability to convey the sense of literariness as a function. Defamiliarization does not reveal the world as it really is but merely constitutes one distinctive form of cognition amongst others. Literature then is also a practice of transformation of existing forms of cognition that shape our perception of the social world. This is crucial since the aim is to 'return the object from 'recognition' to 'seeing' , as well as to break with the primacy of the role assigned to the author in literary criticism. Hence, against realism and 'reflection theory', Jakobson asserts that the text signifies reality rather than reflecting it. Literature then needs to be regarded as a historical rather than aesthetic category. Bakhtin's work concentrates on the Reinassance and folk homour. He analyses forms of defamiliarization from within politically and ritualised 'discrowning' of official ideology. Bakhtin moves beyond formalism and stresses the importance of diachronic analysis in a materialist understanding of literature and with Volosinov criticises the linguists' obsession with dead languages and regards it as a symptom of their need to constitute a unity out of the multiple and heterogeneous. It could be argued that Saussure's linguistics and its focus on the synchronic analysis of language stemmed from the need to oppose the tendencies towards a philosophy of origins that characterised the main project of his time in the constitution of a continuous evolutionist theory of Indo-European language. 'The victory of one reigning language (dialect) over the others, the supplanting of languages, their enslavement, the process of illuminating them with the True Word, the incorporation of barbarians and lower social strata into a unitary language of culture and truth, the canonisation of ideological systems, philology with its methods of studying and teaching dead languages, languages that were by that very fact 'unities', Indo-European linguistics with its focus of attention, directed away from language plurality to a single proto-language- all this determined the content and power of the category of 'unitary language' in linguistic and stylistic thought, and determined its creative, style-shaping role in the majority of the poetic genres that coalesced in the channel formed by those same centripetal forces of verbal-ideological life.' (M. Bakhtin, The Dialogic Imagination, 1986, p. 271). Bakhtin and Foucault �Calbeit differently- work towards seeking an alternative to both the primacy of a philosophy of origins and an a-historical 'scientific' abstraction in linguistics (abstract objectivism) by means of a methodological reflection and practice of a modified historical analysis of linguistic discourse formations that can account for the materiality of language and its effects in a relation of interiority with socio-political epistemic modifications. They do so respectively through the notions of: dialogism and heteroglossia for Bakhtin, and statement and archive for Foucault. Later on with Roland Barthes, the Tel Quel group and more importantly through Brecht's use of defamiliarisation in theatre, formalism is revisited, even though its methodological and theoretical preoccupations are dismissed as Kantian. But We don't mind that, because together with the Annales School these people helped redefining what reality is constituted by.